Relationships feed our life. Strong relationships make us happier, they keep us healthier, they provide us purpose and they help us live longer. This is true for both romantic relationships as well relationships with friends. It’s important to realize that every relationship is different, and you shouldn’t model your behavior on anyone else’s. 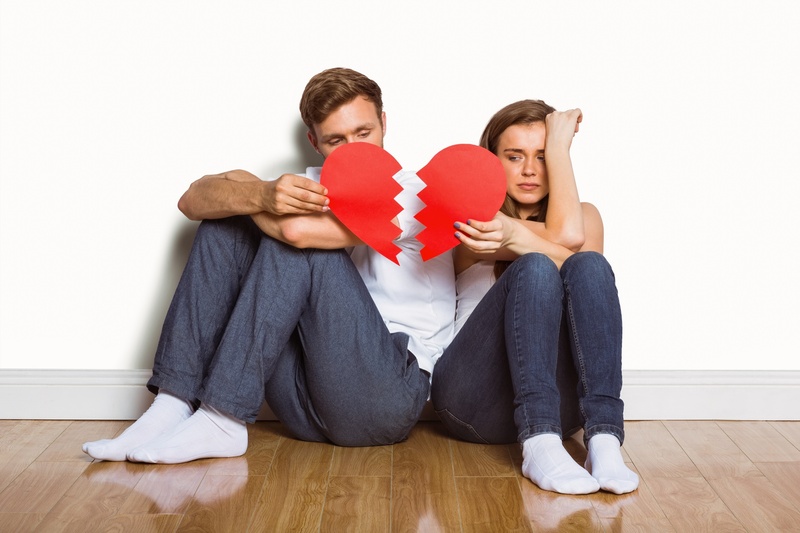 Here are some commonly accepted habits that might actually be causing harm to your relationships without you even knowing it. When a relationship is new, it is fresh and fun. It is no wonder we want to spend all of our time there. We have all been guilty of choosing to spend more time with someone new in our lives at the cost of ignoring our other relationships. You can explain it however you like, but ignoring your existing relationships for one that is new is hurtful and can cause strain. Make sure and keep room for existing relationships while your new one is growing. When we get comfortable, we get lazy. All the things we are excited to do when a relationship is new seems more of an inconvenience over time. Everyone wants to feel appreciated and special, and the longer you are together, the more important it becomes to put some effort into keeping your relationship special. No matter how long you have been together, it is never a bad idea to surprise your partner with something that says how you feel. Strong relationships happen between strong people, and strong people are strong because of the work they do on themselves. Giving up your interests for your relationship is a mistake. Finding some balance around your “together” time and “a part” time, so that each of you can maintain your individual interests is important for long-lasting and healthy relationship. You might consider it venting, but when you talk bad about your partner with someone else you are lowering their opinion of your partner. Their lowered opinion will last much longer than your feeling in this moment. Instead of venting to someone outside of your relationship, try venting in a journal. It can help release some of the frustration, allowing you to have a discussion with your partner when you are in a much better frame of mind. All those quirky habits you used to love turn into the things that irritate you most. The irritation will never get better so you either have to accept it or have a conversation about it. In the end, put it in perspective. Is it bad enough that you are willing to end your relationship? If not, it is time to let your fixation with it go. The old saying, “if you don’t have something nice to say, don’t say anything at all,” doesn’t necessarily work in a relationship. The silent treatment doesn’t help you solve problems. Avoiding difficult discussions just allows issues to fester and eventually get blown out of proportion. Resolve to communicate in a respectful and kind way. Sometimes we need to be assured that our partner loves us and so we make demands or challenges to see how far they are willing to go for us. Granted this is most common in the beginning stages of a relationship and often come from our fear of being abandoned. This kind of “testing” is demeaning to your partner and your relationship. When you have doubts or insecurities, try to understand where they are originating. Instead of testing, try communicating. Expressing your insecurities is the ultimate sign of commitment, and together you can work through how best to solve the issue. It’s hard to know when to bring up the “future” for the first time but avoiding it can also be a mistake. If it is on your mind and you don’t feel safe to talk about it, then maybe the relationship isn’t right. By not talking about it all, you are doing is bringing more negative attention to it. The problem with the “future” discussion is that most people want the future ironed out in one sitting. Instead, try approaching it in small doses. Ask questions like, “What does your future at work look like?” and “Do you think settling down here is in your plan?” Questions that bring up the topic in a non-threatening way can easily lead to more meaningful discussions. There are a lot of things we do in our relationships with the intent of trying to keep the peace. Simply “keeping the peace” should never be the goal. Learning, understanding and growing together is what you are striving for. And just like anything new, there will be growing pains. Just remember good relationships are built on honest communication, shared values, and individual and shared happiness.